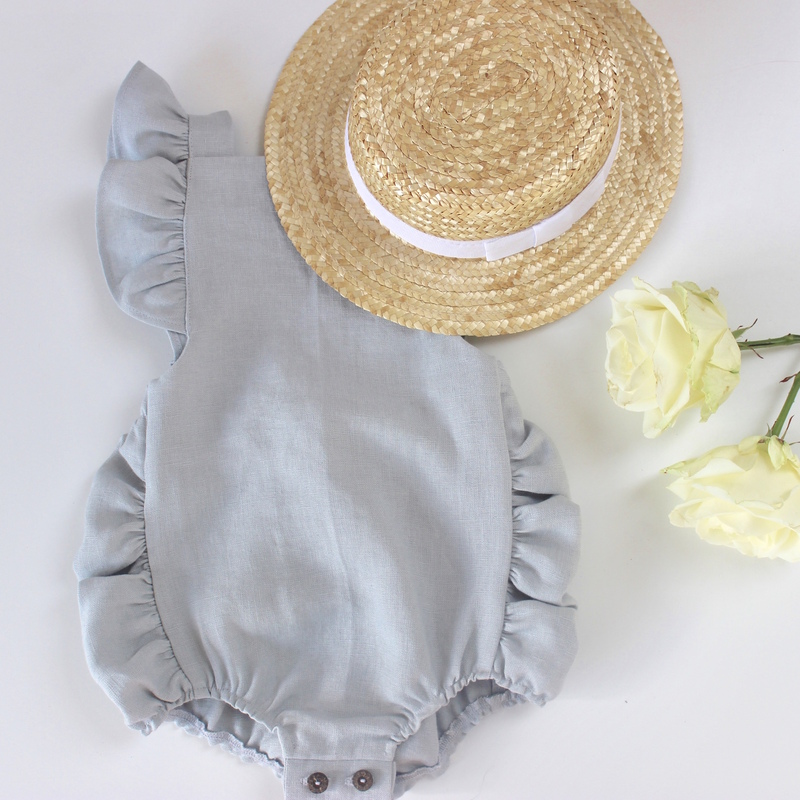 Our beautiful frilled baby all in one’s are made from 100% linen. The gentle gathers to the sides and the detailed shoulders take our seamstresses time to perfect. They really are a keepsake as well as the perfect outfit. 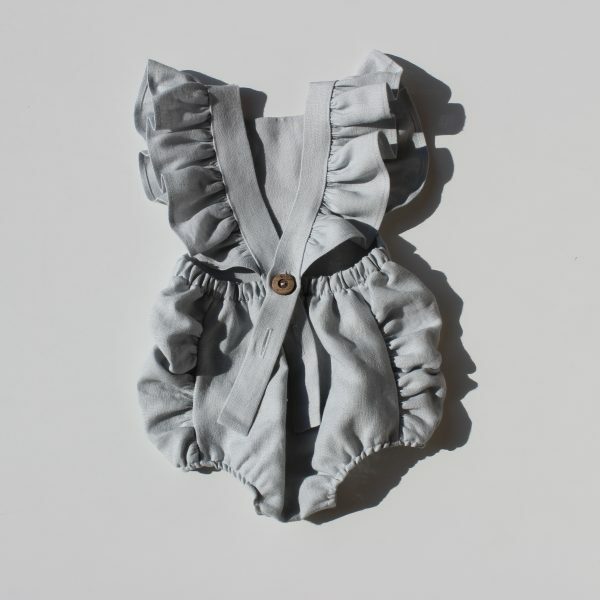 Our mocha, linen, dove and natural now also come with underneath button fastening for easier nappy changes up to age 2. 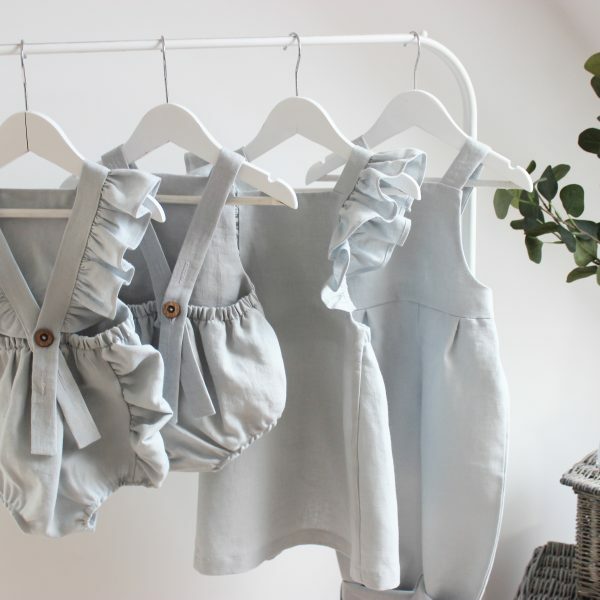 If you didn’t already know, Freya Lillie is a sustainable luxury baby and childrenswear brand. 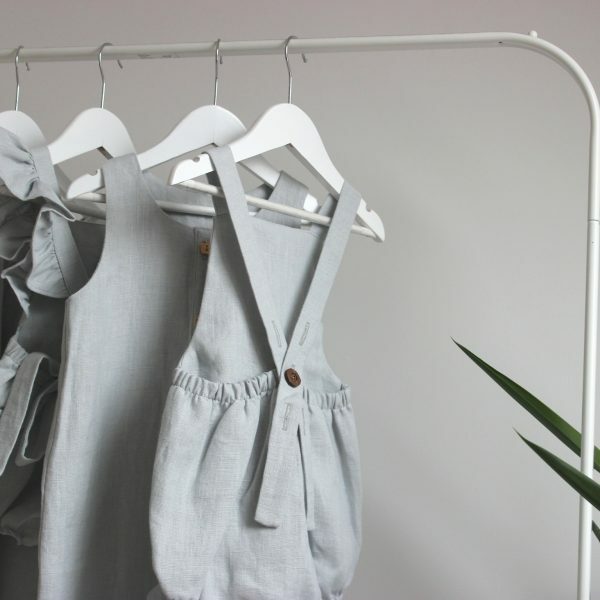 We use 100% linen and organic cotton. We don’t use plastic and always use recycled packaging because we know at some point, we all need to start caring about our World. Disclaimer – we know you already know this, but just a reminder some of our clothing has buttons, drawstrings or tie straps. Just like a hoody or an apron has straps or a smart shirt has buttons. Make sure they are always supervised.